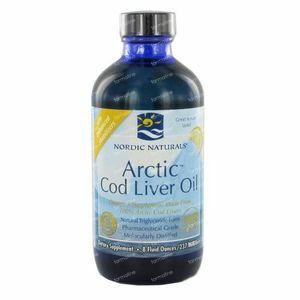 Nordic Arctic Cod Liver Oil Lemon 237 ml order online. - No other fish oils or synthetic additives are ever used. 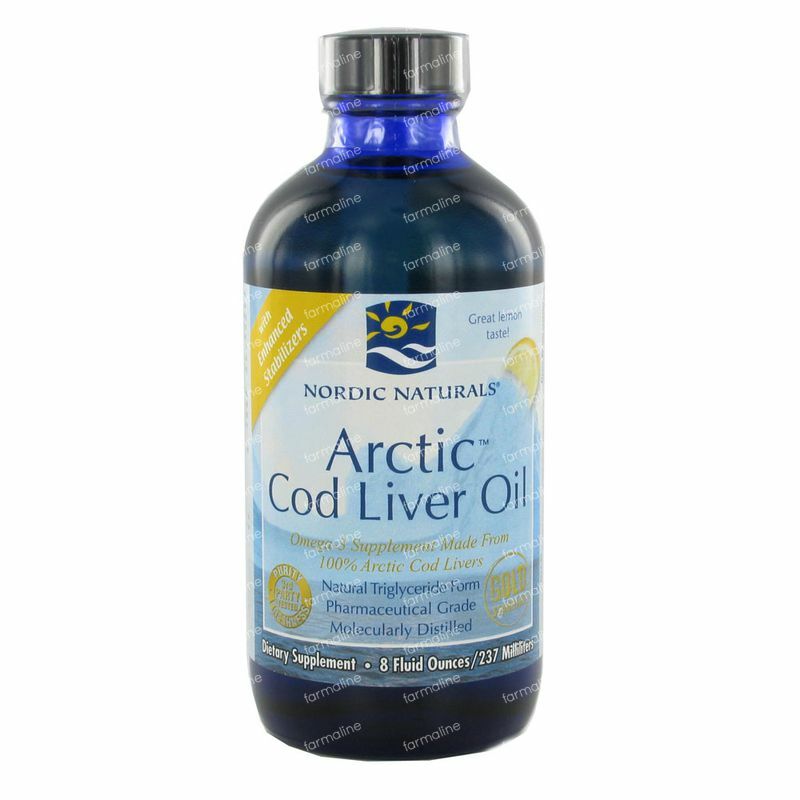 Arctic Cod Liver Oil is a natural source of Omega-3 EPA / DHA and vitamins A and D. Arctic CLO enhances the physical well-being, the natural resistance, flexible joints and supports the circulation, emotional well-being, memory, eyesight and active mind. The Gold Standard Nordic Naturals only uses 100% Arctic Cod and natural vitamins A and D. All of their products surpass the highest pharmaceutical standards and receive the "Gold Standard" label for purity and freshness.